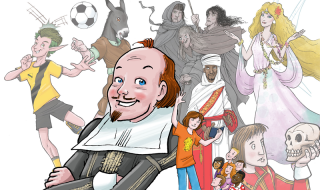 Shakespeare Week is a national annual celebration giving primary school aged children opportunities for enriching and enjoyable early encounters with Shakespeare. This year’s theme is Shakespeare and music. Classical 100 is a free website for primary schools in England. Complementing existing teaching resources, it gives pupils access to 100 pieces of fantastic classical music, from Bach to Bernstein and Handel to Haydn.